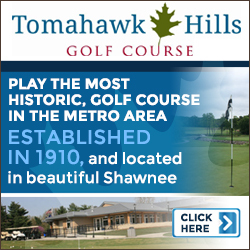 Since 2001, Shoal Creek Golf Course has been among the top (if not the top) course in the Kansas City area. 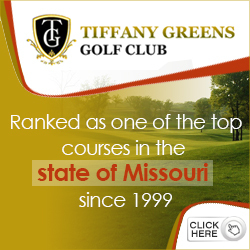 And that’s not just our assertion, the course has been recognized consistently as a top ten course in Missouri by GolfWeek and last year was the top rated Missouri course on GolfAdvisor.com. “It’s nice to get that kind of feedback from golfers. [The GolfAdvisor rating] has nothing to do with professional reviewers; it’s just people who come out and want to leave a review. So, that’s really nice to get that bonus,” said Brett Plymell, General Manager. 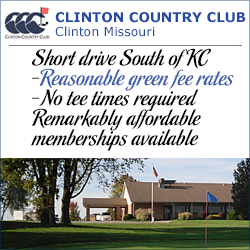 The course is truly a gem in the KC area, stretching to a maximum of 6983 yards, but with plenty of tee box options to accommodate all kinds of players. All carts are equipped with GPS to help golfers find their distance and keep pace of play moving along. The spacious practice facility has plenty of room for anyone warming up for the day or working on their game with twenty-five stations, six target greens, and a sizeable practice putting green measuring 6000 square feet. He went on to note that while there is residential development on the course, it is not on all holes, and that all houses have a view only from the outer perimeter of the course, so they only sit along one side. There is planned to be additional residential development along a few holes, particularly on the front nine, but just like the current neighborhoods, they’ll be set well back of the fairways. The layout is just one aspect of the course’s allure, though. The pristine conditions are the other. While the course is always in excellent shape, what makes Shoal Creek stand out is the attention to the landscaping throughout the property – around the clubhouse, between holes, alongside the paths, and other areas. Perhaps it’s exactly the course and level of play that brings a number of events to Shoal Creek each year. They have partnered with the Ronald McDonald house and play host to the Trent Green even the last several years. They run a series of holiday events – most notably their St. Patrick’s day event, a Halloween Spooktacular tournament with an exceedingly tough setup, and an ever-popular Black Friday event when the weather permits. Also notable is a new event, the inaugural Rod Yeager Memorial Golf Tournament was held last year and the second iteration is already planned for September 9, 2018. Col. Yeager (USAF retired) was a former KCGA executive who passed away in February of 2017. The tournament benefits the PGA Reach/HOPE foundation that has a mission to provide golf as a therapeutic rehabilitation tool for all military veterans. “It was the inaugural event last year, to help the foundation and their work offering free instruction or entry to the game to wounded veterans, whether they are suffering from physical or emotional/mental impacts of their service. The first tournament last year raised $19,000 for the charity, which is great” he added. Goflers can register for this year’s event and support this worthy cause through the shoalcreekgolf.com website. In addition to those programs, Shoal Creek is also working on growing the game with youngsters through a program called “Youth on Course.” The program provides $5 tee times to kids to make the game more accessible and affordable. 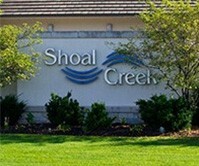 Shoal Creek Golf Course is located at 8905 Shoal Creek Parkway in Kansas City Missouri. 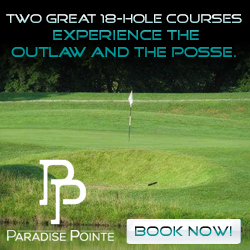 The course can be reached at 816-407-7242 or through their website: www.shoalcreekgolf.com and on Facebook, Twitter, and Instagram.